Swiss pharmaceuticals giant Novartis says a no-deal Brexit could hurt patients and that it is stockpiling medicines in the UK to help ensure continuity of supply. In a press releaseexternal link on Friday, it said that after the British parliament’s rejection of Prime Minister Theresa May’s Brexit deal, “the risk of UK exiting the EU without a deal is increased and this will be hugely impactful for patients, particularly around the supply and safety of medicines”. And it called for the British government to take action on medicines. 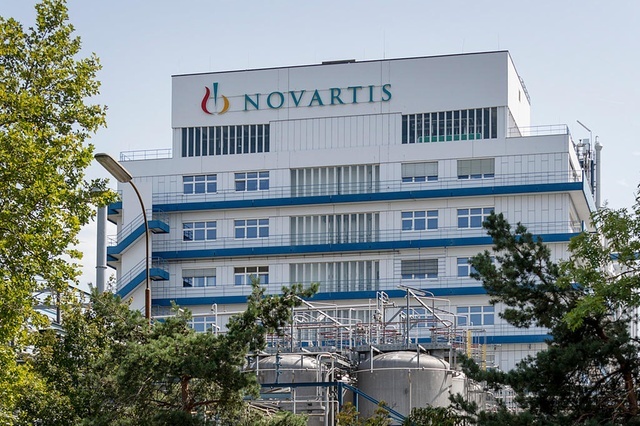 The pharma giant said it is prioritising measures to ensure that patients in the UK can access medicines produced by Novartis and its Sandoz and Alcon affiliates. It imports some 120 million packs of medicines to the UK from Europe each year, according to the press release. Novartis also urged the National Health Service and pharmacists in the UK to heed advice not to stockpile medicines, “so supply can be managed centrally, minimising the risk of medicine shortages across the UK”. Novartis, maker of neurological, immunology and cancer drugs, employs around 1,500 people in the UK.